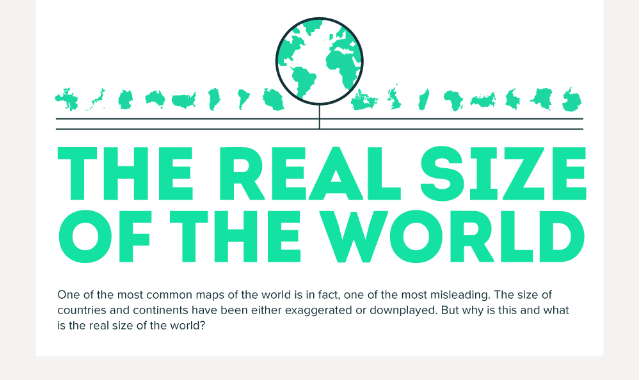 The Real Size Of The World #Infographic ~ Visualistan '+g+"
One of the most common maps of the world is in fact, one of the most misleading. The size of countries and continents have been either exaggerated or downplayed. But why is this and what is the real size of the world?